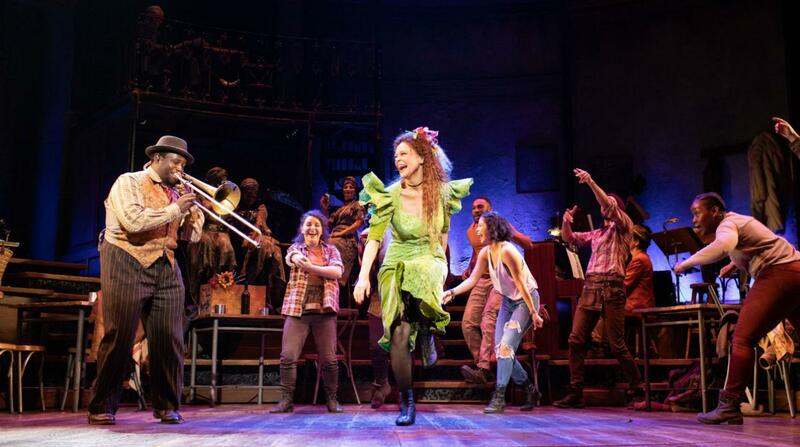 Hadestown joins 2016 Broadway musical Natasha, Pierre and the Great Comet of 1812 as the only two musicals to take Hamilton’s lead and further break the musical theatre mould. It is no surprise the Hadestown and The Great Comet share the same director, Rachel Chavkin. 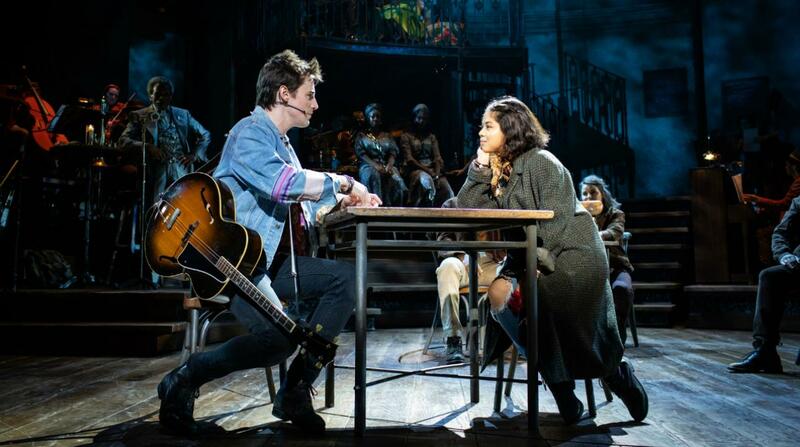 While Hadestown has the same communal stage energy between leads, ensemble and band, it has only a fraction of the story to tell compared to The Great Comet, which was heavy with characters, design elements and audience interaction. Hadestown is a slow burn, riffing on the Greek mythology of Orpheus and Eurydice in a modern, yet timeless, setting. 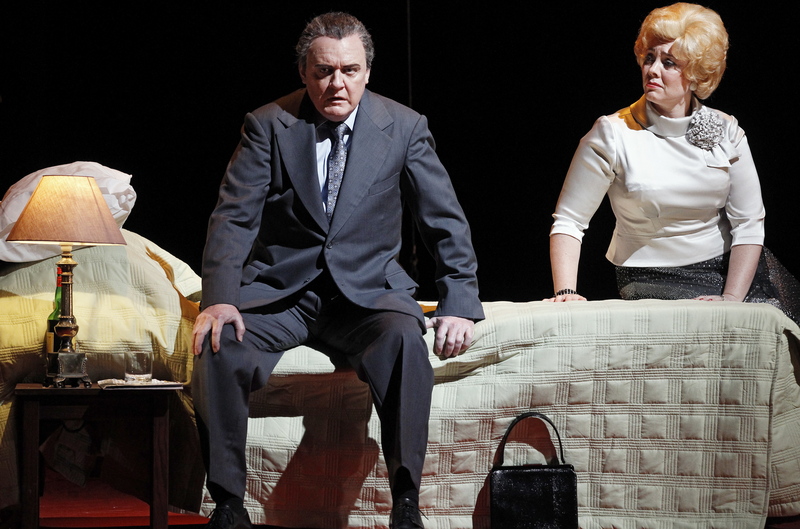 Chavkin again helms a production in which there is terrific synergy between all of the creative elements. Set designer Michael Krass has fashioned a curved, multi-level wooden set with plenty of shared space for musicians and performers. The warm tones of Michael’s Krass’ costumes complement the rich wood grain of the set, and the whole picture is beautifully set off by Bradley King’s lighting. For a single set show, there are plenty of tricks in both the set and lighting to create ongoing visual appeal. American singer/songwriter Anaïs Mitchell performs the rare the triple crown of writing music, lyrics and book for Hadestown, having originally recorded the work as an album in 2010. Mitchell collaborated with Chavkin to develop the work for the stage. 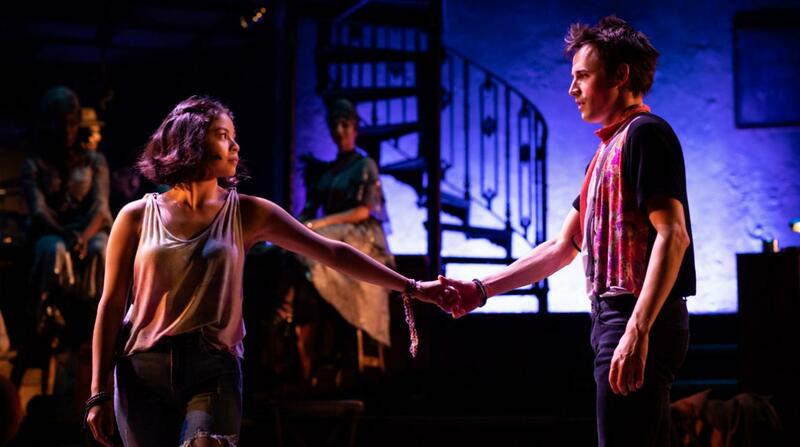 Hadestown transfers to Broadway in March after this season at London’s National Theatre. Music direction is at a premium in Hadestown, with Liam Robinson crafting a rich, smooth blend of vocal and instrumental music. The sung-through show is operatic in style yet far from classical, being more of a mix of American folk music and rhythm and blues. On piano/accordion, Mike Guy leads six fellow musicians in the tight onstage band. Nathaniel Cross is a particular standout on trombone. In a classy move, each of the band members is introduced and applauded during the first song of act two. 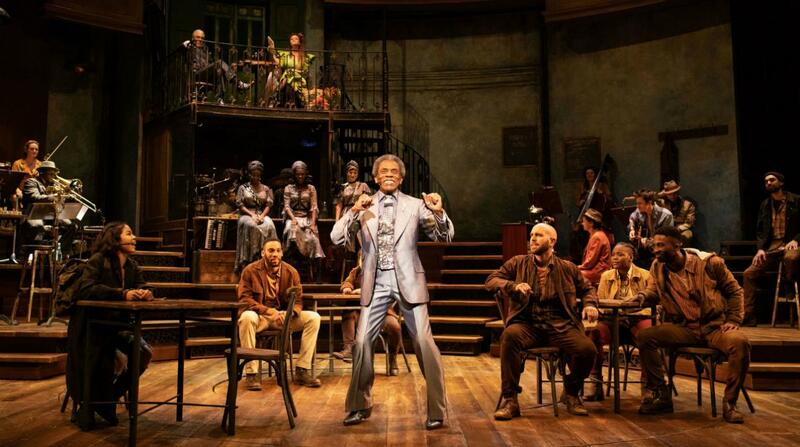 Storytelling unfurls at a languid pace, making Hadestown more of an experience than a drama. Still, the combination of eye-catching design, accessible music, energetic choreography and charismatic performers means the show is never less than compelling. 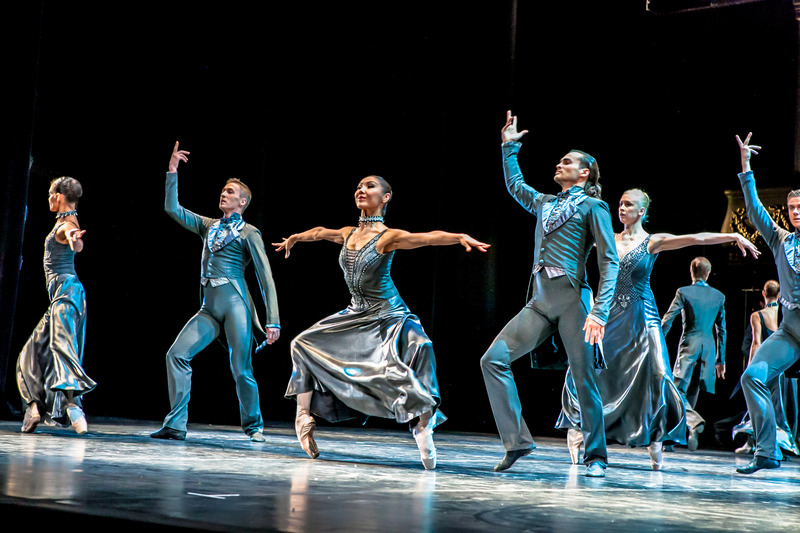 Choreographer David Neumann has created a fascinating dance vocabulary of angular, muscular moves for the show, incorporating the ensemble of seven very talented performers into as many numbers as possible. Hadestown has been cast with an eye for Broadway, with each of the five leads having significant experience. Boyishly handsome leading man Reeve Carney (title star of Spider-Man: Turn off the Dark) plays Orpheus as a drifter filled with self doubt, neatly setting up the character’s climactic challenge. Singing with tender sweetness, Carney also occasionally accompanies himself on guitar. 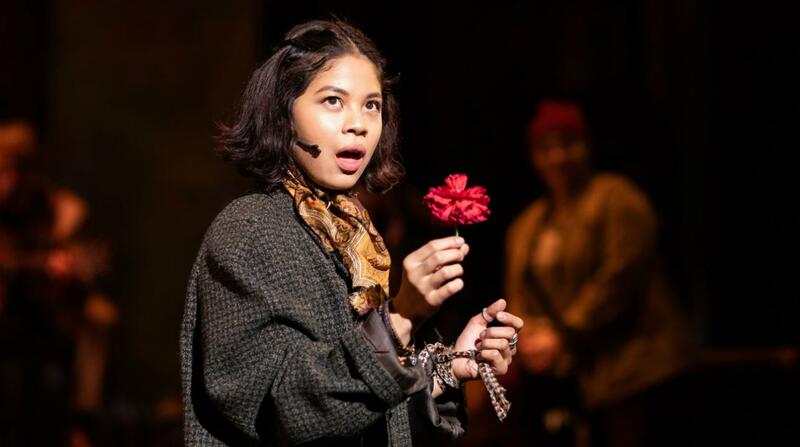 Looking far too young and fresh to already have played a leading role on the West End and Broadway (including a Tony Award nomination for Best Actress), Eva Noblezada (Miss Saigon) brings innocent charm to Eurydice, keeping the character entirely sympathetic despite her for decision to decamp to Hadestown. Patrick Page (also from Spider-Man: Turn off the Dark) brings his extraordinarily deep bass voice to the malevolent role of Hades. Amber Gray blends glamour and vulnerability as Persephone, devoted wife of Hades. Broadway legend André De Shields (The Wiz) is Hermes, a kind of narrator / ringmaster who presides over the action with a knowing grin. Carly Mercedes Dyer, Rosie Fletcher and Gloria Onitiri complete the cast as the three glamorous Fates. The trio’s vocal harmonies are rather divine. Hadestown will be a tough show to beat for Best Musical at this year’s Tony Awards. 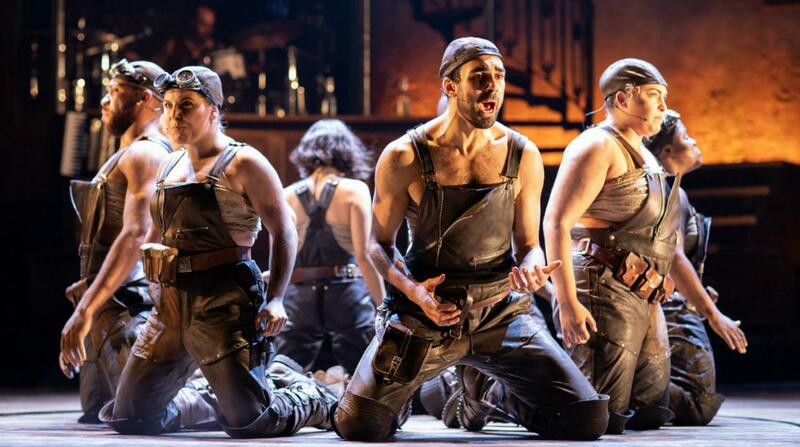 Hadestown was reviewed 7.30pm Wednesday 23 January 2019 at Olivier Theatre, National Theatre, London where it plays until 26 January 2019. Hadestown begins its Broadway season as Walter Kerr Theatre, New York on 22 March 2019.